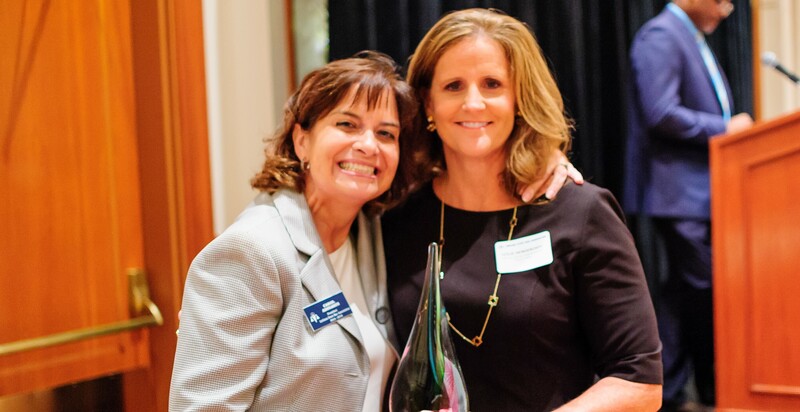 CCHA is proud to announce attorney Leslie C. Henderzahs is the recipient of the 2016 Gale M. Phelps Award. Leslie received this honor at the Indiana State Bar Association's annual awards ceremony held September 9, 2016. The Gale M. Phelps Award is named in memory of Gale M. Phelps who was a former chair of the ISBA Family & Juvenile Law Section and who regularly participated as a member of that section. Gale passed away in 2003 and this award is intended to recognize those attorneys who continue to advance Gale's legacy of exceptional legal service and professionalism. Leslie's dedication to her clients and to the legal profession is second to none. I can think of no lawyer more deserving of this honor than Leslie. For a complete list of honorees and award descriptions, please visit the ISBA website here. Leslie is the first female partner at CCHA and has served on the firm's executive management committee. She focuses her practice in domestic relations and civil litigation and is certified as a Family Law Specialist by the Family Law Certification Board. For more information about Leslie, please visit her profile.